Aurora Straus is one of several female race car drivers participating in the Pirelli World Challenge here at Lime Rock Park on May 25-26 and Memorial Day Monday, May 27. Originally from Cold Spring, NY, Aurora is sure to be a fan favorite at the event. What’s more, she is only 19 years old and will be attending Harvard after the racing series where she plans to study English and mechanical engineering. Some of you may also know her father, Ari Straus, the CEO of the Monticello Motor Club in the Catskills.That’s where Aurora first learned to drive. 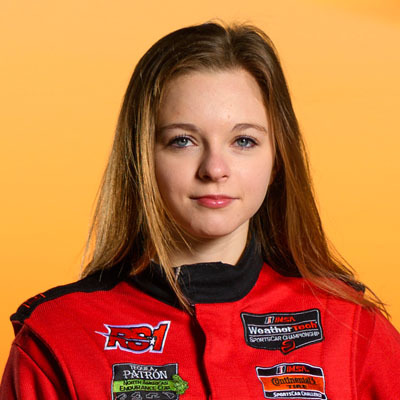 Last year, she was the highest-finishing rookie in the Continental Tire SportsCar Challenge and in 2016, she finished in the middle of the pack of the prior year’s challenge. This year, Aurora is driving a BMW M4 GT4 at the Pirelli World Challenge series where she is sponsored by watchmaker Richard Mille and ModSpace Motorsports.